Looking for the perfect fall dessert? 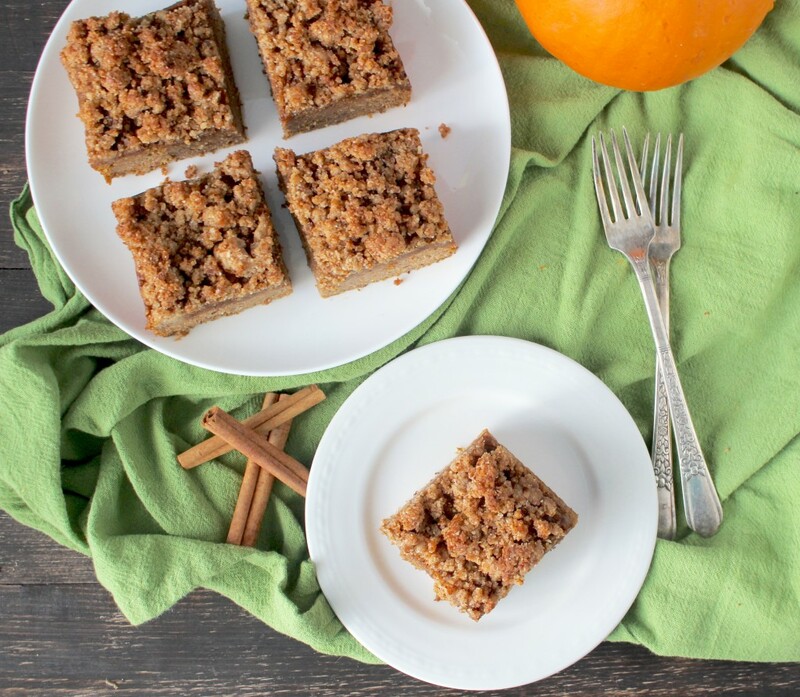 Try this Paleo Pumpkin Coffee Cake. It is just like a classic coffee cake with a moist and flavorful cake with a delicious crumb topping only healthier! It’s so delicious you would not think it’s good for you.